ICAL pioneered the computerised study CD market back in 1996! Since then we have continually evolved as the market and technology has progressed. 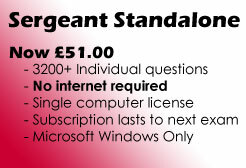 We now offer a range of standalone CDROM, online, web browser and mobile device questions and answers for the 2019 NPPF Step 2 (Formerly OSPRE Part 1) and NIE police exams. What's so special about the ICAL questions? Our questions are based directly on and referenced up to the latest Blackstones Police Manuals. Our questions cover a majority of the syllabus, many other providers questions do not. 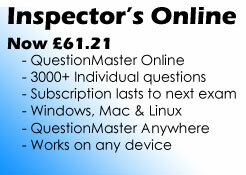 Our questions contain over 2900 A-Type style questions and hundreds of extra questions to help you LEARN THE LAW. Do not listen to rumours to the contrary. Our questions are constantly updated and maintained as necessary on a day to day basis by our question writers. Our questions are tried and tested and customer feedback shows they impart the knowledge necessary to gain a good pass. Our questions are subject to strict quality analysis. 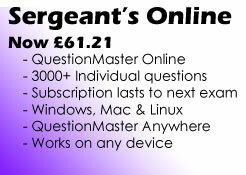 We have a system in place which monitors how many times each and every question is asked and answered correctly. This allows us to easily flag up and modify questions which appear to be too easy or too hard and enable us to keep our questions at the right level. When you purchase an ICAL subscription you'll get good software! You'll get good questions and answers! But we also understand that sometimes the answer is not enough. With ICAL, you also get to talk to the question writers directly via our dedicated question query email and telephone system. 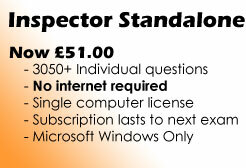 Our friendly question writers are available for you to make sure you understand a point of law. 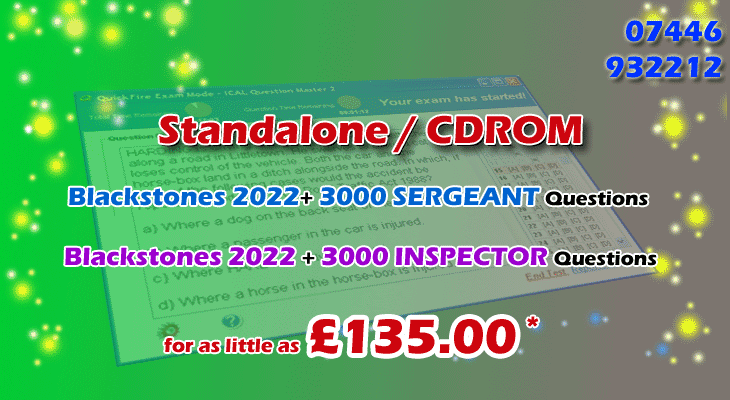 Have a browse around our site, whether you're planning on taking the Sergeant Inspector or NIE we have a free demo for you to try! Let ICAL help you on your way. Good luck with your studies! - Contact Us - Site Map - Online - IPLDP - NIE - OSPRE Part 1 Home © , ICAL Ltd.